More loveliness that caught my attention! At the risk of over-egging the pudding, I've got to reiterate what an utterly brilliant time I had at the Grow London show last weekend. I chatted to design gods of the gardening world, Cleve West and Tom Stuart-Smith, quaffed some very nice wine, learned which flowers will make an edible bouquet, had my head filled with so many good ideas, watched how to make a delicious nasturtium pesto which I sampled over a huge tomato and an edible flower salad and then came home with a car boot full of beautiful plants. I'd just finished cataloguing all the plants I'd bought at the show and was back indoors when the heavens opened and rain poured down. Win:win - I was dry, the plants were watered. The plants will live outside until I can plant them at the end of the week; they're destined for a client's part shady garden. I can't tell you how much joy I've had researching and choosing plants without spending any of my own money. Beauty without penury - bliss. I've been smiling all week. I also dipped into Helen Yemm's talk about problems in the garden but the thought of plant shopping was distracting me. Sooooo many gorgeous plants! This is one of the brilliant things about attending a show like this - the growers are there to advise you so there's no guesswork - you tell them the site and situation of the planting area and suggestions are made. Looking at the size and condition of the plants, you know exactly what you're buying - something you don't get with mail order. The nurseries at the show were all specialists, offering plants that you're unlikely to come across in your local garden centre. I came home with my car boot stuffed with Astrantia 'Roma', Adiantum and Dryopteris ferns, an Abutilon vitifolium, Astilbes and Aruncus, Penstemons, Lavatera maritima, Bletilla striata and an Anemonopsis macrophylla. Whaaat? It took me a good half hour just to learn how to say it! The must-have plant though is Hosta rectifolia, a Japanese woodland plant said to be able to withstand slug onslaught - I was more than slightly sceptical but I'll be happy to be proved wrong. It's a pretty little thing, with long slender ribbed leaves and purpley-pink flowers so I hope it makes it. Wool pellets and gravel at the ready. My unusual plants came from Evolution Plants, a nursery I was very impressed with and would say is well worth visiting online or in person. 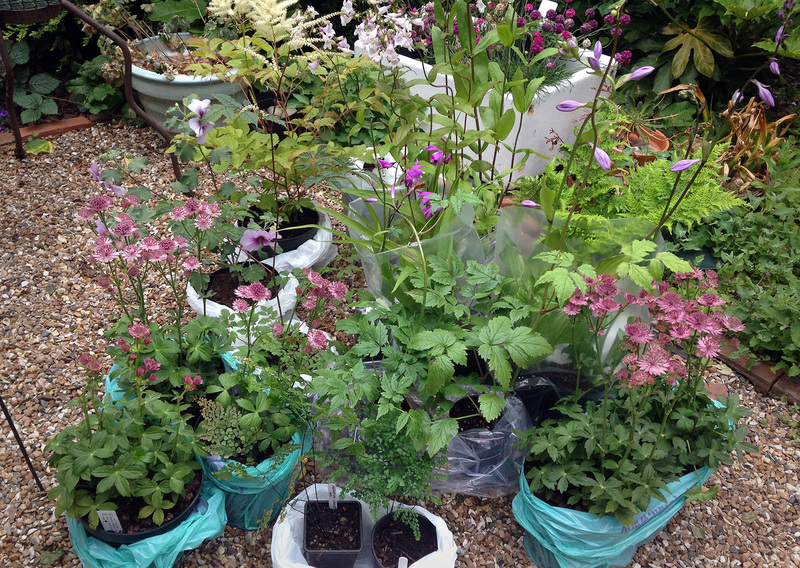 A few more of my plants came from Glendon Plant Nursery and Hardy's Plants. 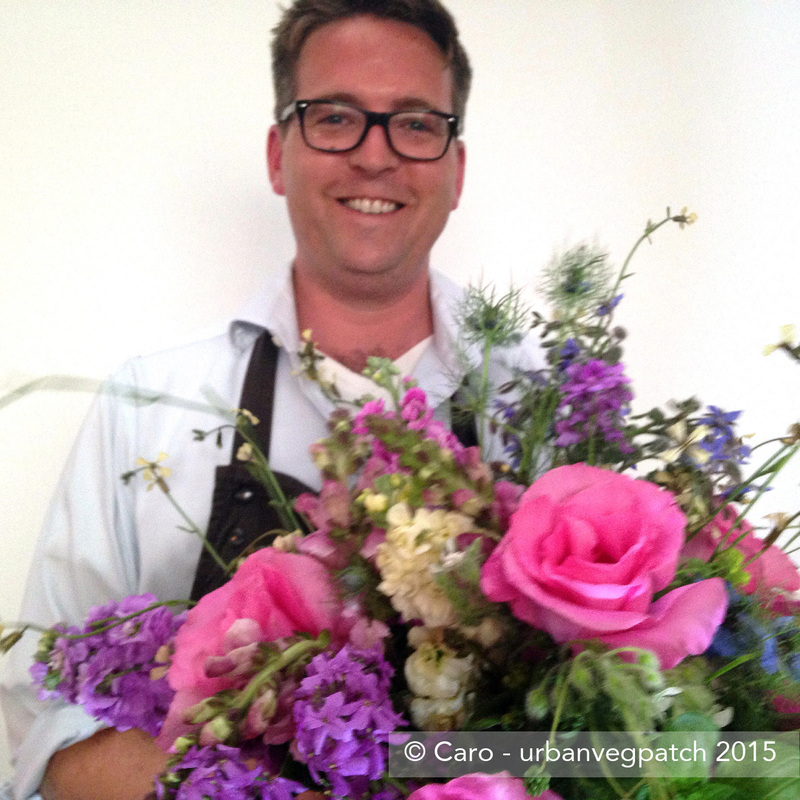 GROW London: All the fun of the Fair! Yesterday's weather was gorgeous - clear blue skies with just enough breeze to keep things from getting overheated - and what better way to end such a day than with a glass of chilled sparkling wine courtesy of a visit to London's own garden show, GROW London. 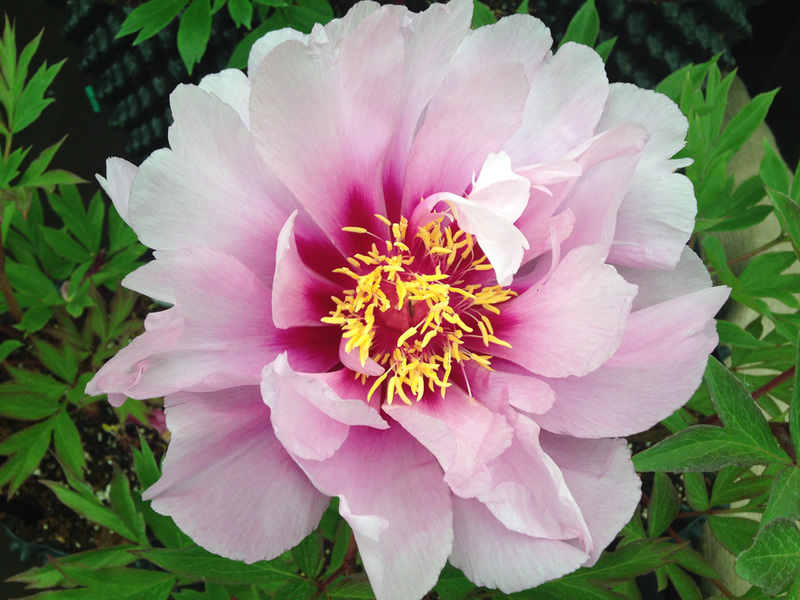 The show officially opens today, Friday, but kicked off on Thursday night with a garden party charity evening in aid of NGS (National Gardens Scheme). Top: Corten steel fire pit from The Pot Co; NordEco chairs. Middle: Julia Clarke willow nest in Hardy Plant garden; pots and cubes from The Pot Co.
Niwaki Japanese garden and kitchen tools. Jake Hobson, master of the art of cloud pruning, kindly chatted to me for several minutes about living in Japan and learning his craft. The Green Wood Guild. 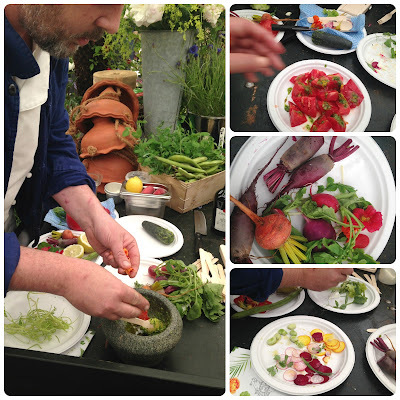 Demonstrations and workshops in carving spoons and plant markers. I might even have a go myself. 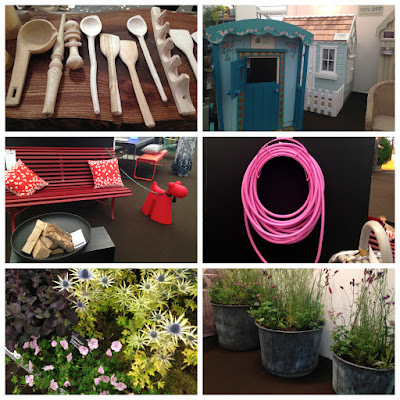 The Posh Shed company - Bespoke sheds and a very enticing child's gypsy caravan to be won! Julia Clarke willow sculptures - not exhibiting but on display at the Hardy Plant garden space. 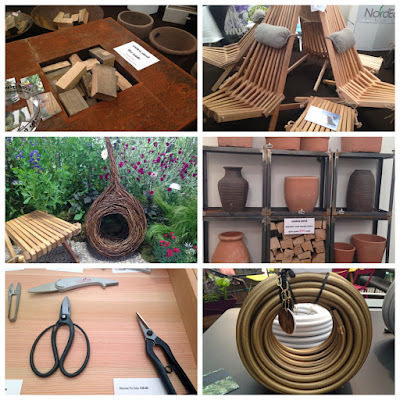 I think/hope that I may have persuaded Julia to offer willow weaving workshops at her Crouch End studio next spring. The Pot Company - pits, pots and shelving. Stunning - and useful - corten steel fire pits. Architectural Heritage - Cast iron gates don't do it for me but their zinc (?) planters stole my heart. Especially when planted up with Sanguisorba, so so beautiful. NordEco. Beautifully crafted wooden chairs. I was tempted to sit but wasn't sure I'd want to stand up again. Top: The Green Wood Guild's carvings; Child's gypsy caravan from The Posh Shed Co.
Middle: Barbed red bench and friend; Barbed barbie pink hosereel. Bottom: Eryngium from Hardy Plants; Architectural Heritage planters. For household artefacts, Maud and Mabel's exhibits were breathtakingly beautiful. 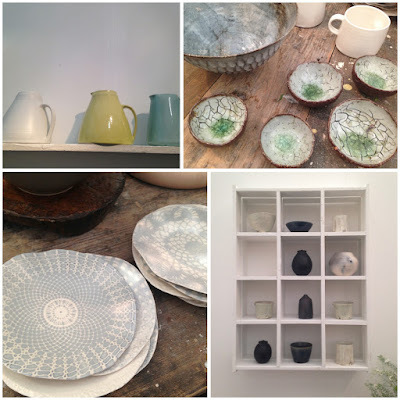 Exquisite artisan ceramics from their Hampstead craft space but, sadly, beyond my budget. Doesn't stop me wanting them though. Instead I'll treasure the tiny ceramic star included on the raffia wrapped around their press handouts. All Maud and Mabel's objects of desire. But there was so much more than this little taster. I'm going back today (on another complimentary pass as I'm on the GROW mailing list, sign up and be prepared for next year) specifically to look at the nursery exhibitors Crugfarmplants, Boma (my local garden centre), Evolution plants, Hortus Loci, Hardy Plants, to get plant advice from the Society of Garden Designers and Mark Gardner (the fair founder's own gardener!) 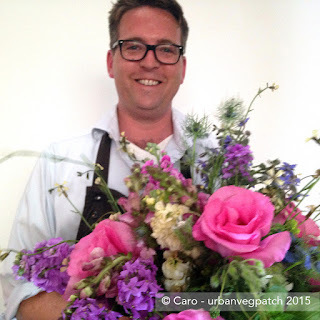 and to take in a couple of the talks - notably Thomas Broome on creating an edible bouquet. I had a definite impression of the show building on last year's success. This is only its second year but the exhibitors and speakers are top notch. Talks go on over the three days of the show with speakers including Cleve West (The Healing Garden), Fergus Garrett (Designing with plants), Sarah Raven, Mark Diacono, Laetitia Maklouf, Helen Yemm and Mark Risdill-Smith who used to live round the corner from me. Nice chap and nice to see him doing well. This is definitely a show not to be missed and I predict will go on getting better. 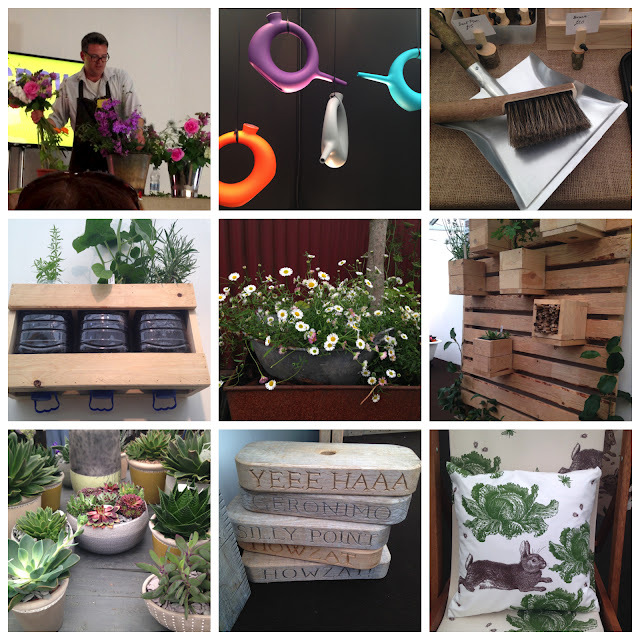 GROW London is on this weekend, Friday 19th to Sunday 21st. Open from 11 am - 6pm.